Glamour is a cinch in Jovani 56001. This glamorous gown is covered in dazzling jeweled piping. The bodice has a jeweled high neckline, tank straps, and a full-coverage back. The long fitted column skirt has a jeweled waistband, and a shimmering sweep train. 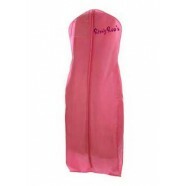 Have a fabulous time in this gown at a prom, pageant, or birthday celebration.